Prescription charges in England will rise by 20p to £9 from April 1, 2019, for each medicine or appliance dispensed. The cost of prescription prepayment certificates (PPC) remains unchanged: The three-month PPC remains at £29.10, and an annual PPC at £104. These offer savings to people who need at least four medicines in a three-month period and at least 12 during one year. GP Hubs ( Miami Clinics) GP and Nurse appointments during the evening and at the weekend. For more info please click here or the image above. #HelpMyNHS from NHS Brighton and Hove CCG on Vimeo. The EU General Data Protection Regulation (GDPR) came into force on 25th May 2018. The GDPR applies to all EU member states and Petworth Surgery must be able to demonstrate compliance at all times. To read the the full notice, please click HERE. You may have seen / heard the announcement yesterday in relation to breast cancer screening. Because of a technical problem at NHS Breast Screening Program some women didn’t receive their final invitation for a breast screening on time. If you think you might have been affected please read the information, which have been released by the Public Health England, below. We are very sorry this has happened and we are now offering the opportunity for a further screen. 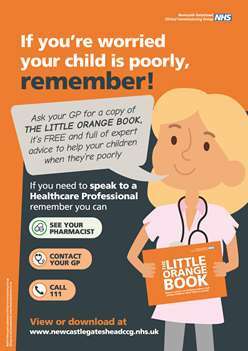 We will be writing to all affected women registered with a GP by the end of May with further information. We do not routinely invite women aged 71 or over for breast screening because the benefits of this are unclear. Women over the age of 71 years can however make their own appointments for breast screening every three years if they wish. Our experts say the research evidence is uncertain about the benefits and harms of breast screening for a woman of your age. For some older women, screening may diagnose and treat a breast problem that would never go on to cause harm if left alone. We call this ‘over diagnosis’. As women get older, there is a higher chance of ‘over diagnosis’ than there is of having their life saved by screening. We understand that finding out we did not send your invitation for screening at the right time might be upsetting for those women affected and apologise for a fault in the system that has led to invitations not being sent at the scheduled time. 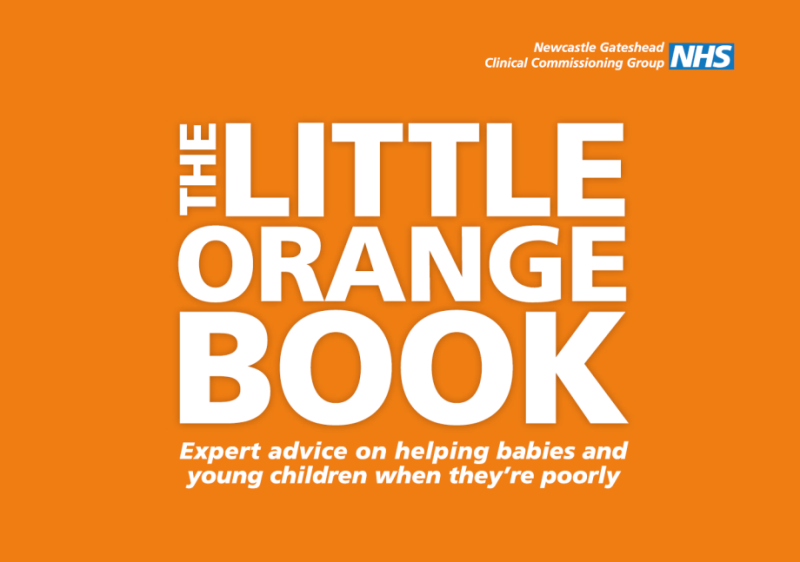 For further information a dedicated advice line has been set up for the women affected and also for those that think they did not receive an invitation - call 0800 169 2692 if you need further support and advice. The Expert Patients Programme (EPP) is a free self-management course developed for people living with any long-term health condition, such as heart disease, diabetes, asthma, arthritis, multiple sclerosis, depression, back pain, chronic fatigue syndrome etc. Not only will the course give you new skills to help you to manage your condition and the emotional changes brought about by your condition, it also provides a great opportunity for you to meet other people who share similar experiences. A portable induction loop device is available now for hearing aid users while you are in the Surgery building. Please ask at Reception for further details. From 1st of April 2016 Practices the Surgery can offer further online access to some of their care records. If you were registered for the Surgery’s Online services before 01.04.2016 then you should already have access to “appointments”, “prescription” and “summary care record” facilities. From the 1st of April 2016 patients can have access to their Coded Detailed Care Records too. For more information on Coded Detailed Care Record click here. 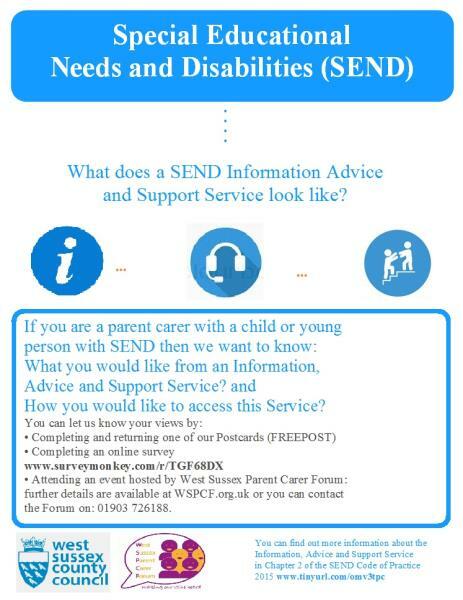 If you wish to have this additional access then please let us know by filling out a request form (available on the website or from our reception) or request it via your SystmOnline account. Please note: Processing access requests for Detailed Coded records might take a few days. If you require information about Online Services and the registration process please click here. HeartSmart walks are free, fun and full of local beauty. These walks are led by volunteer Walk Leaders and are designed to cater for all ages and abilities. The walks offer opportunities to exercise and meet new people in a safe and friendly environment. The walks were started by a GP in Edinburgh who said: " Half of my Waiting Room would be empty if only they took more exercise." And, good as his word, he took his patients out every afternoon for a walk. Since then these walks spread all over England. the Forum on: 01903 726188. That's why the CCG is working with the hospitals that provide stroke services and our CCG partners in Sussex to work together to further improve local care. The animation below describes the high quality care CCG wants for patients in Coastal West Sussex. Good progress has been made in improving stroke services for Sussex patients in recent years, in particular since the publication of the Department of Health's national stroke strategy in 2007. But there is always more to do. The hospitals and CCGs in Sussex wants to make further improvements to offer patients the best possible care and, at the same time, meet the stroke quality standards set out by the National Institute for Clinical Excellence (NICE) in 2010. The CCG has a bold ambition for the future of the local NHS. Watch their animation to find out more about their priorities for the coming years. Do you worry about what would happen to the person you look after if you were taken ill and unable to tell anyone that someone depends on you? If your answer is ‘Yes’, the carer’s emergency alert card may be the answer for you. Coastal West Sussex Mind is a local mental health charity providing help and support to local people and their families in Shoreham, Worthing, Littlehampton, Bognor Regis, Midhurst and Chichester. They also offer support to their carers. Sometimes it can be hard to take the first steps towards getting support. their staff aim to get to know individuals and their carers, tailoring services to meet needs. They provide a programme of support and activities at different venues across the week. Day respite service—Held at the Judith Adams Centre on Saturdays. 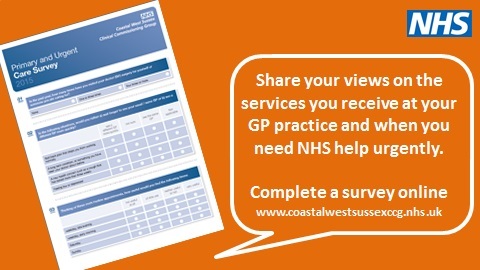 NHS Coastal West Sussex Clinical Commissioning Group has launched a brand new survey to hear from local people about the health services they use, and their priorities for how they could be improved. The NHS wants to hear from you, so that your views are at the centre of their plans. If you have any problems completing the survey, would like it in a different format or language, or would like to talk to someone about this survey please email: contactus.coastal@nhs.net or by calling on 01903 708537. Every year, over 3,000 Sussex residents are admitted to hospital with a stroke. Stroke services in Sussex are good – but could be better. That’s why the hospitals that provide stroke services and the clinical commissioners (who plan, buy and monitor services) are working together to seek your views on stroke services. Your feedback will directly influence the options for improving health services for patients experiencing a stroke in Sussex. As well as running an online survey, they will be meeting with stroke groups for one to one discussions, running stroke focus groups and taking the survey out on streets when visiting events around the area.